Birthday card is an appropriate way to convey your best wishes on special occasion to your friends, relatives and spouse. Birthday card maker program is designed with latest features to create handmade stunning birthday cards to gift someone special. Birthday card designing program allows you to design happy birthday cards in different shapes, sizes and colors according to your requirements. Software provides different card designing objects like Line, Ellipse, Pencil, Rectangle, Text, Picture, Arc, Triangle and star objects to create beautiful birthday cards. 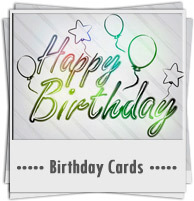 Birthday card software is designed with advance dataset series feature to create multiple birthday cards. 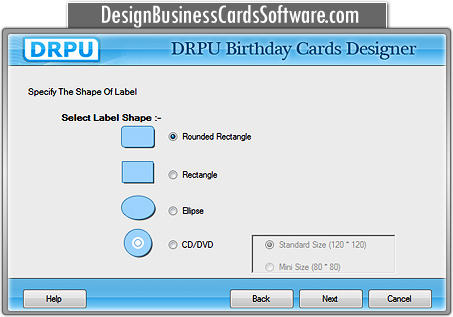 Software allows user to add photo, text, clipart and templates during the card designing procedure. Provides color and background settings to design colorful attractive birthday cards. Program uses flexible printing settings to print designed birthday cards. Software design different types of birthday cards including Photo birthday cards, Personalized birthday cards, Birthday cards for kids, Birthday cards for teenagers and many others.